Home / MBA in General / The MBA Interview – How Important Is It? MBA interviewers are looking for one thing: they want to feel good while interacting with the applicant. Many interviewers use the airport test when meeting a candidate. They ask themselves, would they be happy to get stuck in an airport for many hours with this person? Would time pass painfully or pleasantly? There are people we wouldn’t want to get stuck with: those who only talk about work, shoot down conversation, don’t ask questions, and don’t engage with us. People who are well-rounded, good listeners, and willing to interact genuinely make us feel good – and that’s how you want your interviewer to feel. The point of the interview is not to pretend you are perky and cute. It is to showcase how you are a diverse conversationalist, know how to answer questions and move the exchange forward. 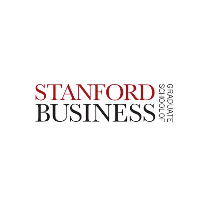 During an MBA admissions interview, your goal is to show how professional, motivated, and ambitious you are, while keeping in mind the interview is not the pinnacle of your MBA career. Some people believe that the interview is the most important factor, but the reality is that interviews are more likely used to weed out weak candidates rather than help select those who shine. In other words, you can’t really ace the MBA admissions interview. You can only bomb it. As long as you come off as a professional, motivated individual – you will deliver. People have gotten into Business Schools without knowing much English. Why? Because you don’t have to dazzle the interviewer with your wits – you have to answer the questions and give off a good vibe. You can gauge the relative importance of your interview by your interviewer. If your interviewer is an alumnus, the interview is probably not weighted very heavily. If your interviewer is someone on the admissions committee or MBA faculty, naturally, there will be an added gravitas. Regardless of who your interviewer may be there should be a direct correlation between your resume/application and who you are. If your essays are written in Shakespearean English but your spoken English is nonsense, you may run the risk of coming off as a fraud. But generally speaking, if you don’t completely botch the questions you are asked, you’ve succeeded. The graph below demonstrates where each school stands when it comes to interviews. The y axis called ‘meaningfulness’ denotes how much the interview matters to the MBA admissions process. The x axis called ‘selectivity’ denotes how many applicants get summoned for an interview out of the entire pool of applicants. The schools plotted on the scale of selectivity should not make you feel better or worse about yourself. 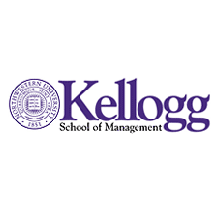 For example, Kellogg is a school with a high emphasis on team values and would like to let as many people come and demonstrate who they are. However, it is interesting to note that the interview is not weighted heavily, as it is very low on the y axis. Stanford, on the other hand, falls very high on the selectivity axis, but not high on the meaningfulness axis. 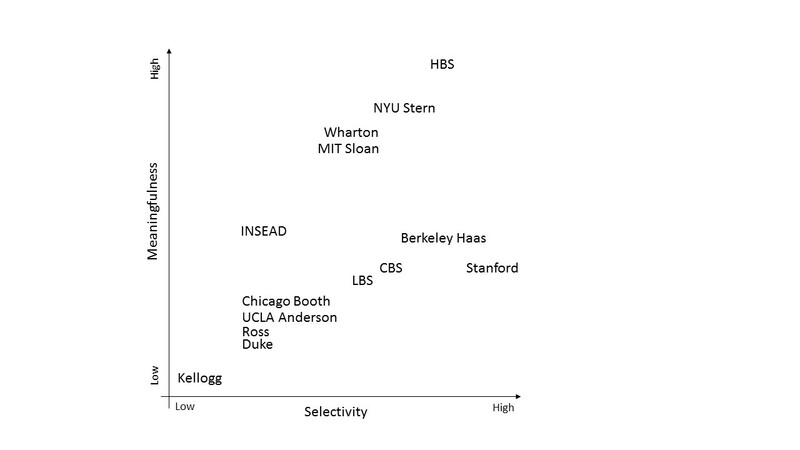 The graph shows that there is usually a balance between meaningfulness and selectivity, with HBS at the edge of the spectrum, demonstrating the most extreme of both worlds. So, breathe. The interview is important, but it is not the most important. There are a few interview trends that have been on the rise lately. Team interviews are growing in popularity. A number of schools, including Wharton, Ross and IMD test group dynamics – aiming to test applicants in a study group context. Admissions committees are also slowly taking the interview process out of the hands of alumni. Since alumni-run interviews are difficult to standardize, the practice is slowly fading. If anything, interviews are being conducted by second year admission students, since they are keenly attuned to the dynamics of the program. Finally, it appears that video interviews are also on the rise, sparing people trips around the world. These are still professional interviews, so make sure you pick a quiet, uninterrupted spot. To sum up, don’t be intimidated. Practice a lot and be prepared to discuss your personal and professional aspirations, as well as your fit to the program and you won’t get stumped.